Republican Chris Christie says he’s heading home to New Jersey to “take a deep breath” and take stock of his struggling presidential bid. 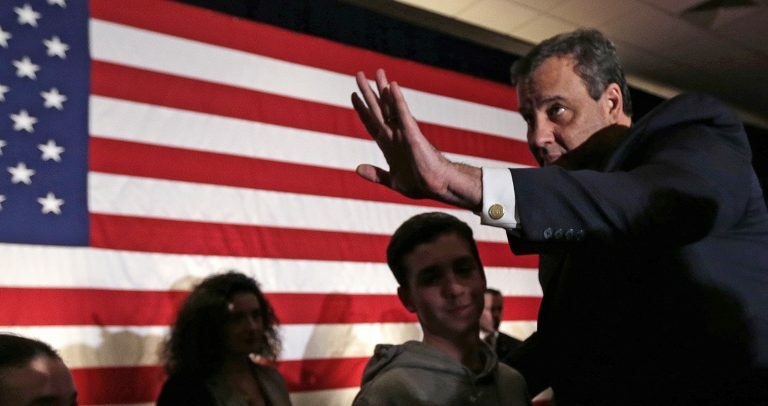 The New Jersey governor had banked on a strong finish in Tuesday’s New Hampshire primary, but he’s on track to end up far off the pace despite holding more than 70 town halls events over the past few months. It’s a tough blow for a candidate whose campaign had trouble from the start about raising money and building support in a crowded field dominated by another brash East Coaster: businessman Donald Trump. Christie tells supporters that he’ll wait to see the final New Hampshire results before making a decision about the way ahead. But he says he can do that best from home, and not a hotel room in South Carolina – the site o f the next Republican contest.